Some states require regular safety inspections and/or emissions inspections on cars and trucks. 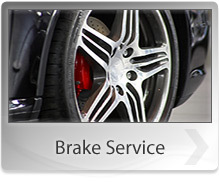 At Bridgeview Auto Center, we are well-equipped and trained to perform these inspections. Our technicians can also perform multi-point inspections on your vehicles as needed. A state certified emissions repair facility is a privately owned motor vehicle repair facility, licensed to repair emission-related failures. The repair facility must employ a CERT (Certified Emissions Repair Technician) who has passed a state-required training program. Bridgeview Auto Center is a IL state certified emissions repair facility. Contact us at 708-598-3155 or visit us today for emission-related repairs and services.